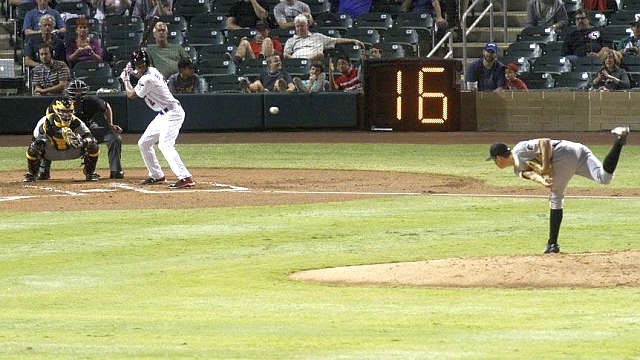 Pace-of-play initiatives were tested at Salt River during the 2014 Arizona Fall League season. ST. PETERSBURG, Fla. -- Minor League Baseball today announced rules and procedures aimed at improving the pace of play in games at the Triple-A and Double-A levels. The procedures, created in partnership with Major League Baseball, will monitor the time taken between innings and pitches, and will limit the amount of time allowed during pitching changes. Umpires will continue to enforce rules prohibiting batters from leaving the batter's box between pitches. "Minor League Baseball is excited to implement the pace of game initiatives at the Triple-A and Double-A levels of our organization," said Minor League Baseball President Pat O'Conner. "We feel the emphasis on pace will lead to more fan enjoyment and better play on the field and is another example of the cooperative relationship between our leagues and Major League Baseball in the advancement of player development."